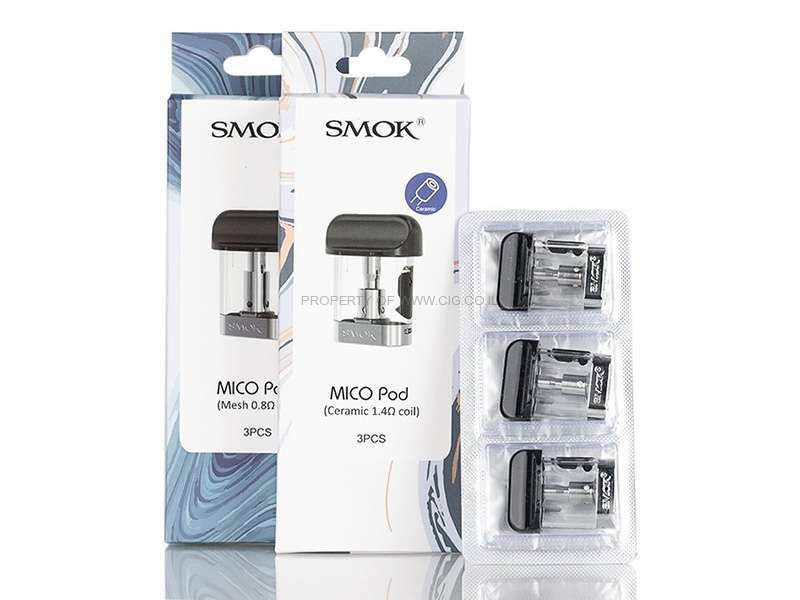 The SMOK Mico Pod is designed for the SMOK Mico Resin AIO Pod Kit with 1.7ml e-juice capacity. It comes with three types cartridges including Regular 1.0ohm, Mesh 0.8ohm and Ceramic 1.4ohm which offers you different vaping experience and pure flavor. With the easy refill design, you will enjoy an amazing vaping experience. Moreover, the SMOK Mico replacement cartridge is optimized for high nicotine salts and e-juice. Perfectly compatible with the SMOK Mico battery. Just get it as a spare part for yourMico Pod Kit! 3 pieces each pack.